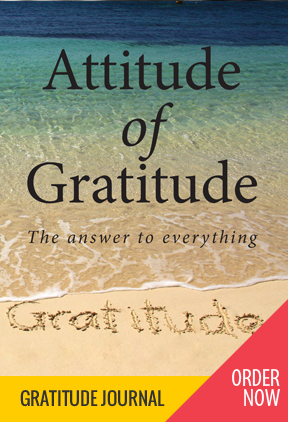 Buy One Get One Free Attitude of Gratitude Journal – offer ends midnight 1 January 2013. Happy New Year to you! I’m assuming you’re here because you want to know more about the Attitude of Gratitude Journal OR the USA Property workshops that are starting on 11 January. To get your bonus on the Attitude of Gratitude Journal – for 6 PR listeners only – please follow these links below. Put your order in and then send me an email requesting your bonus. Click on the Journal cover – and you will be taken to a page with more info about it. To order, click through and you will be allowed to enter your credit card details or paypal on the secure payment gateway. We do not store your credit card details and the payment gateway is managed by EWay. What is the bonus I mentioned? It’s simple – buy one get one free. That’s right – place an order for one journal and I will send you two. Order two and I’ll send you four! The shopping cart will only show you the number you’ve ordered, I will confirm with you tomorrow by email that you’ve got your free journals. This offer is only open until midnight tomorrow 1 January 2013. Please note that this offer is only open while stocks last and is limited to the first 150 orders. Journal prices include free postage. We anticipate you’ll receive your journal between mid- and end of January. We’ll get them to you as soon as possible! To find out more information about USA Property POSITIVE GEARED, click here. The next presentation is on 11 January. You can book online for 11 January and 7 February. This opportunity may not be available for much longer as the house prices in the USA are already starting to show upward movement. Hedge funds are buying up all surplus properties and the private investor is not able to have the pick of the properties as we did 6 months ago. I’ve written about Gratitude before – and many of you have heard me talk about it. It’s something that is hard to define precisely, and one of those things that you really only know when you’ve been practicing it. I always thought I was grateful. I thought I was practicing Gratitude. It was only when I experienced the physical shift that I truly ‘got’ what Gratitude was really about. This word is used liberally and I think we’ve almost got blase about it. It’s also really easy to talk about it and think you understand it – even teach about it. But it’s an entirely different thing to feel grateful with every fibre of your being. Sometimes we need challenges or ‘disasters’ to make us feel truly grateful. Isn’t that a paradox? Surely we should feel grateful when everything is going well? Surely we are grateful and showing gratitude simply by not being unhappy or moaning about the things that aren’t right in our lives? A friend’s beautiful house burnt down. Do you know what they said to me? “We’re so grateful we are all alive“. When my father died, I was overwhelmed with Gratitude for what he had given me. The example he had led, the community they had been part of. We were filled with Gratitude for the friends, the messages, the outpouring of love when he was in a coma. Perhaps we are sent challenges in our lives to make us realise what we do have. Like a kid at Christmas who gets a room full of new toys, but complains about the one thing they wanted and didn’t get – as adults we can get forgetful of what we have, and think only of what we still want. What if, by keeping a Gratitude journal, we could avert disasters? Imagine (and this isn’t based on any scientific research that I’m aware of!) if by showing that you were truly grateful and living in Gratitude – you didn’t need to have a horrific experience to make you wake up to what you really have? I’m willing to give it a go if it makes our lives easier in the future! What about you? Having an Attitude of Gratitude is something you can activate at any time that you choose. Before you set your goals for 2013 I’d like to suggest you think about what you already have, what you have achieved – physically, mentally, spiritually, materialistically – and see how wealthy you truly are. When we look at what is going right in our lives, we see everything in a more positive light. If you need help in writing your Gratitude list – the Attitude of Gratitude Journal is about to be published. You can order yours from http://www.jillhutchison.com/gratitude-journal/. For the next 48 hours only, I am offering a very special offer. Buy-one-get-one-free. That’s right – if you order one, I’ll send you two. If you order 4 I’ll send you 8! Postage is free to anywhere in the world. Offer ends on Sunday 30 December at midnight Perth (Western Australia) time (GMT +8) while stocks last. This offer is for the first 100 Journals sold (so if they are all sold sooner than Sunday, I’ll take this offer down). When you checkout using the secure payment gateway, your order will only show the number of journals that you have ordered. When I have received your order I will mark is as needing double the quantity you’ve ordered. Happy New Year – and I hope that you have a wonderful 2013!